Plan Your Summer Road Trip! This psychological thriller is for fans of The Woman in Cabin 10 and I Let You Go. Don’t Close Your Eyes’s twisted plot will keep you in suspense as you journey towards your summer vacation destination, twisted by surprise as your reach the story’s ending. For a long solo drive, listen to this historical romance about an extraordinary young woman tested by a catastrophic event and its devastating aftermath. This suspenseful new novel based on a true story in 1947 Maine will get you to your destination in no time. This terrific new story by Rick Riordan is sure to keep you and your car full of boys entertained as you head out for your summer vacation. Let the adventures of Zeus’s son Apollo, who is cast down to Earth as a gawky sixteen-year-old mortal boy, take you and your family on a trip greater than any car can provide. This is a great listen for a car full of girls heading out on a long drive. Written by the bestselling author of The Witches of East End and read by renowned narrator Cassandra Campbell, this enchanting love story is sure to transport you and your girls on a romantic ride to your destination. Magic Tree House® stories are great for a car ride with younger kids. This eight-book collection is the perfect mix of history and adventure to keep the whole family entertained, whether you’re heading out for an hour ride or a longer journey. 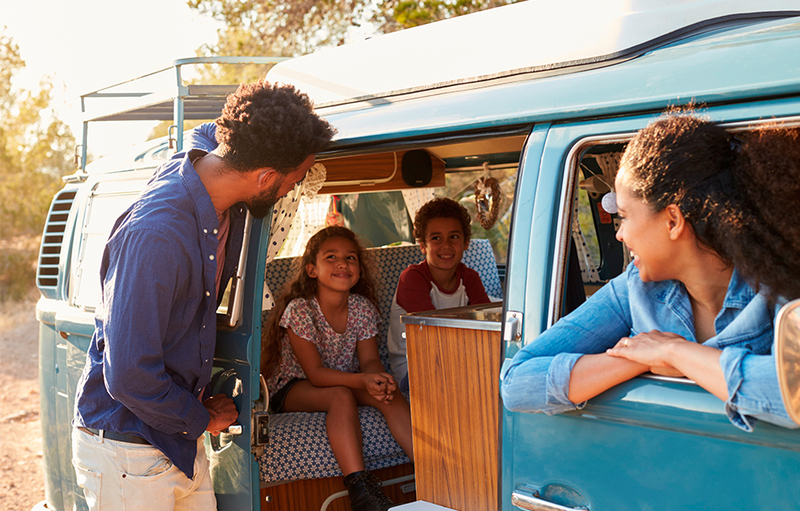 Click here for more great listens for your upcoming road trip.